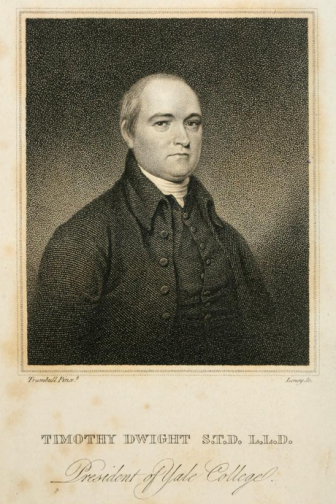 Though Timothy Dwight is probably best known as one of the Hartford Wits, he was also, over the course of his 64-year life, an academic, educator, president of Yale College, Congregational minister, poet, songwriter, and politician. Born on May 15, 1752, in Northampton, Massachusetts, Timothy Dwight IV was the oldest of 13 children. His maternal grandfather was Jonathan Edwards, a prominent 18th-century Protestant theologian. Aaron Burr was his cousin, and his brother, Theodore, became a prominent journalist and founder of the New York Daily Advertiser. Dwight was a gifted student who entered Yale when he was just 13. Upon graduating in 1769, he began tutoring and teaching while also serving as rector at Hopkins School in New Haven. It was at Yale that he met Watertown native John Trumbull, an aspiring poet and writer two years older than Dwight. Eventually the pair befriended two other students who were also writers, Joel Barlow of Redding and Derby native David Humphreys, forming the core of what became the Hartford Wits. Trumbull published the first several of the Wits’ important works and Dwight soon followed with a commencement address at Yale in 1776 that became a famous rallying cry for the new American nation. Dwight became a minister and, when the Revolutionary War broke out, Congress appointed him chaplain to General Parsons’s First Connecticut Brigade. It was at this time that he wrote several songs to encourage the troops, most notably “Columbia” (Columbia, Columbia, to glory rise/The queen of the world, and the child of the skies!). In 1777, Dwight married Mary Woolsey, daughter of a New York banker whose father had been roommates with Dwight’s father at Yale. When Dwight’s father died later that year, Dwight and his new wife moved to Massachusetts to live and to tend to the affairs of the large family. He continued as a minister and teacher and opened a school for both boys and girls. He also served two terms in the state legislature. Dwight returned to Connecticut in 1783 when he accepted an offer to become minister of Greenfield Hill, a Congregational church in Fairfield. He established and taught at an academy there that quickly earned a reputation as one of the finest in the region. It was also in Fairfield that Dwight produced much of his poetry, writing some of his best poems during the 12 years he spent at Greenfield Hill. Among the better-known works are The Conquest of Canaan and Greenfield Hill. As scholar Ann Brunjes later demonstrated, some rather disturbing aspects of Dwight’s worldview come through in a careful analysis of his poems. Like most whites of his time, Dwight saw the elimination of Native Americans as a somewhat unfortunate but necessary event in the march of progress. He committed himself to the expansion of business and the imperative of the American project—in fact, he saw them as beyond questioning. From Greenfield Hill, Dwight went on to become president of Yale in 1795, a post he held until his death in 1817. His hiring was not without some controversy, however, as religious moderates at the school opposed Dwight, who they saw as dogmatically orthodox. 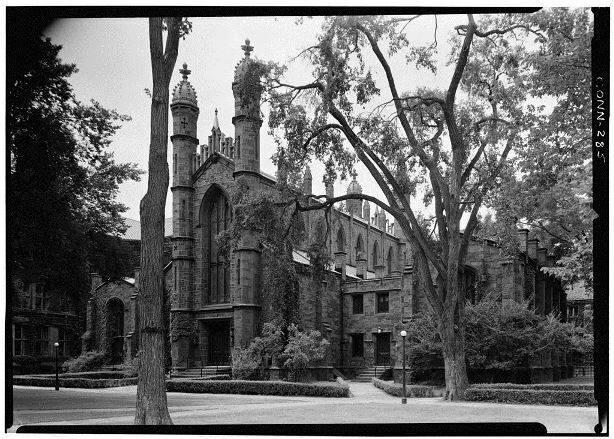 During his tenure, Yale was the largest institute of higher learning in the country. Dwight proved instrumental in hiring important faculty members during his 22 years at the school, however. This sometimes meant putting his religious convictions aside and hiring teachers who were often less theologically inclined than those traditionally found at Yale. It was also during his time at Yale that one of Dwight’s sons, Edwin, reportedly found Hawaiian refugee Heneri Opukaha’ia weeping on the steps of the Yale chapel over the lack of educational opportunities available to him. Dwight and several other ministers helped educate the young man, and their success, seen as an opportunity to train indigenous peoples to become missionaries in their native lands, ultimately led to the formation of the Foreign Mission School in Cornwall. Several of Dwight’s sons, like their father, pursued careers in academia, education, and religion. One, Theodore, followed in Dwight’s footsteps and served as president of Yale. A grandson (also named Timothy) similarly served as Yale president, and the school named its Timothy Dwight College after Dwight and his grandson. Dwight died on January 11, 1817, while a resident of New Haven and received a burial in Grove Street Cemetery. Clark, Jonathan, and R. Packard. 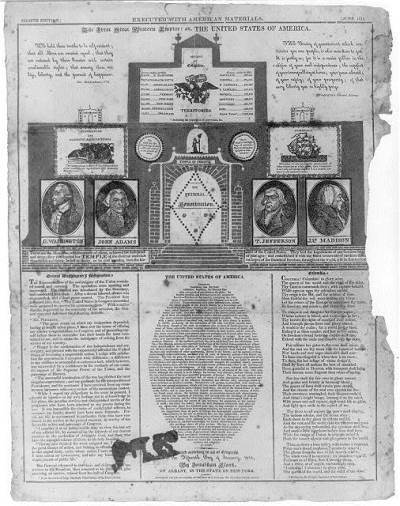 “Broadside - The First Great Western Empire: Or, the United States of America,” 1812. Library of Congress, Rare Book And Special Collections Division. Link. “Guide to the Dwight and Ferris Family Papers.” Yale University, Beinecke Rare Book & Manuscript Library, 2013. Link. “Guide to the Dwight Family Papers.” Yale University, Beinecke Rare Book & Manuscript Library, 2016. Link. Silliman, Benjamin. “A Sketch of the Life and Character of President Dwight, Delivered as an Eulogium, in New Haven, February 12th, 1817 Before the Academic Body, of Yale College, Composed of the Senatus Academicus, Faculty and Students,” 1817. Dwight, Timothy. Beauties of Dwight; or, Dr. Dwight’s System of Theology, Abridged: With a Sketch of His Life: A Portrait: And an Original Essay on His Writings; in Which His Religious Views Are Compared with Those of Other Distinguished Divines of the Trans-Atlantic Empire. London: Francis Westley, 1823. Link. Berk, Stephen E. Calvinism Versus Democracy; Timothy Dwight and the Origins of American Evangelical Orthodoxy. Hamden, CT: Archon Books, 1974. Lehman, Eric D., and Amy Nawrocki. Literary Connecticut: The Hartford Wits, Mark Twain and the New Millennium. Charleston, SC: The History Press, 2014. Dwight, Timothy. The Conquest of Canaan a Poem in Eleven Books. Hartford, CT: Elisha Babcock, 1785. Link. Dwight, Timothy. Theology Explained and Defended in a Series of Sermons. Vol. 1. 5 vols. Middletown, CT: Clark and Lyman, 1818. Link. Silverman, Kenneth. Timothy Dwight. New York, NY: Twayne Publishers, 1969. Brunjes, Ann. “Timothy Dwight Encounters the Indian: Greenfield Hill and Travels Through New York and New England.” In Sovereignty, Separatism, and Survivance: Ideological Encounters in the Literature of Native North America. Newcastle upon Tyne, UK: Cambridge Scholars Publishing, 2009. Cuningham, Charles E. Timothy Dwight, 1752-1817, a Biography. New York: The Macmillan Company, 1942.